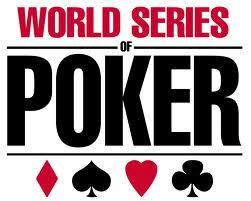 This article is number 3 in a series covering the most important tournaments in the 2011 WSOP. prominent poker event throughout history that has given billions of dollars as prize money as well as the exalted WSOP gold bracelet. The tournament is composed of different poker variations like the Omaha Hi-Low Split-8 or Better Championship. What is this game all about? Omaha poker game closely resembles the hold’em game wherein the betting is in four rounds and could be played by up to ten players. Players are traded with four faced down hole cards and share the five faced up community cards. The players will then have to use two of their down or hole cards and three up or community cards to have the finest five-card poker hand. Omaha split-8 or better refers to the Hi-Lo Omaha version wherein the pot is divided into highest and lowest hand in the table. If the player has the highest and lowest 5-card hand, then, he will get the entire pot. It sounds simple but it requires skills and talent to rule in this poker variation. Now, let us review the previous winner of WSOP Omaha Hi-Low Split-8 or Better Championship. The 2011 WSOP will take center stage starting from May 31st to July 19th at the world-class Rio All-Suite Hotel and Casino in Las Vegas, Nevada. The 3-day Omaha Hi-Low Split-8 or Better Championship is scheduled event #11 that will kick off on June 6, 2011 at 5:00 pm with $10,000 buy-in. This is surely another head to head action between the finest professional poker players across the globe. Las Vegas has been one of the top poker destinations all over the world. Mark your calendar as WSOP Omaha Hi-Low Split-8 or Better Championship is fast approaching.